Let’s go ahead and jump right into some examples to show you what it looks like. 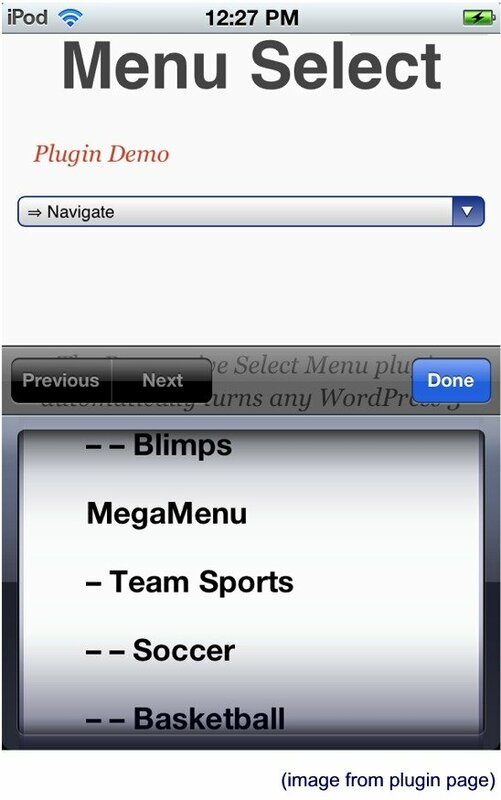 Here’s a look at a normal top menu in a mobile device using the WordPress Twenty Ten theme. And now here’s a look at that same top menu with the Responsive Select Menu plugin activated. When you touch the menu and pull it down, you get a select box/dropdown menu that you can easily scroll through with your finger. Here’s a look at the basic configuration options. 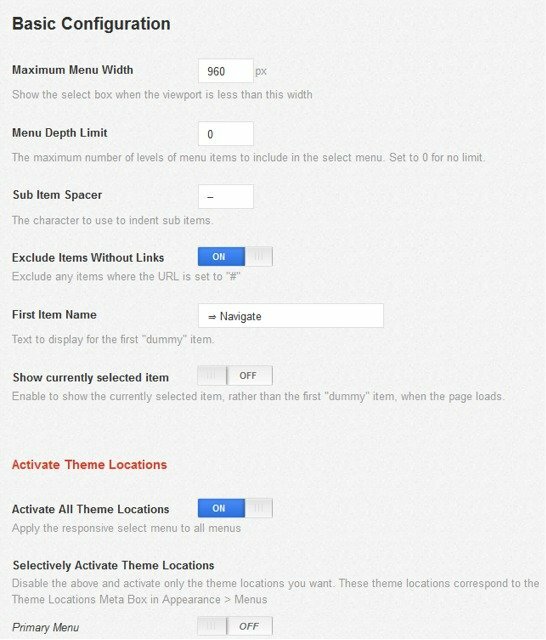 As mentioned, on the settings page, you can control at what width point the responsive menu kicks in. Therefore, you can set it to kick in even on a full-sized screen if the browser narrowed. For example, here’s a look at a narrowed browser on a full size screen without the plugin activated. And here’s a look at the narrowed browser screen with the plugin activated. This ability to control when the responsive plugin kicks would also allow you to do things such as set it to NOT kick in for a horizontal view on a typical tablet, for example. But then you could have it kick in when the table is turned vertically. The style of your particular site and the size of your particular menu will determine where you want the responsive menu to kick in. You can see an example of the plugin in action here. If you’re on a full-size browser, just drag your browser down to a smaller size, and you will see the menu at the top of the page change.